Special Properties Good penetration.Very low odour.Non-flammable.Highly effective dual purposepreservative. 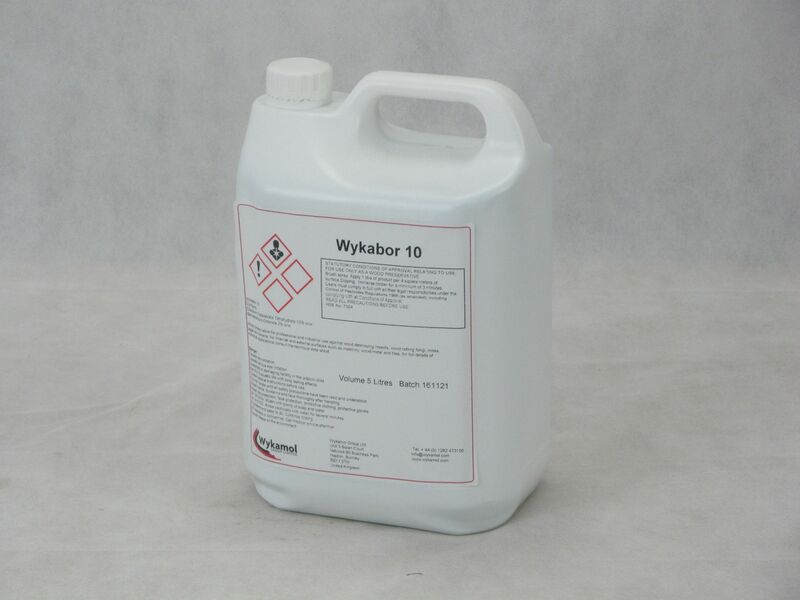 Wykabor 10 is an aqueous wood preservative based on disodium octaborate and benazalkonium chloride. 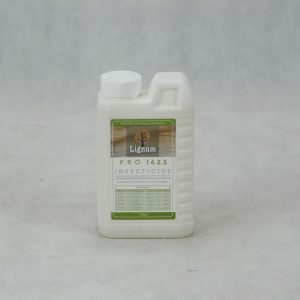 Suitable for the eradication of common furniture beetle (Anobium punctatum) and other wood boring insects in building timbers. Also for the prevention of fungal decay in sound timbers following the removal of sources of moisture. Wykabor 10 may also be used in conjunction with Wykabor 40 as past of an eradicant treatment against fungal decay. 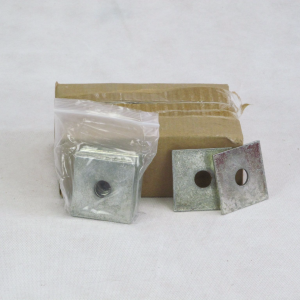 Remove thermal insulation in roof spaces (or roll up and completely cover) and do not reinstate until timbers are dry. Cover fitted insulation (lagging on pipes) with polythene and cover water storage tanks with heavy grade polythene to be left in-situ after treatment. Isolate electrical circuits in the treatment area during and for 8 hours after treatment and ensure that junction boxes tec. 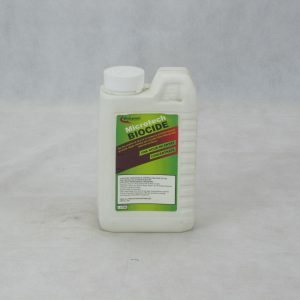 Are adequately protected against the ingress of the fluid. Remove or cover all foodstuff before application as well as fish tanks/bowls. Do not apply to surfaces on which food is prepared or stored. Where applicable, notify occupants of adjoining properties before treatments commence. Display Safety Notices conspicuously during treatment and leave on site after treatment for at least 48 hours. As (a) above plus – locate and rectify the source of dampness. Cut out all structurally unsound timbers and make repairs isolating timbers where possible from damp masonry etc. and ensuring adequate ventilation. For treatments of decayed timbers in-situ see the Wykabor 40 Technical Data Sheet.